The new Strike Force camera is one of the smallest high performance cameras in the hunting industry and has the same elite features found in the rest of the Browning trail camera line. The Strike Force cameras feature 10MP picture quality, HD video clips with sound and Zero Blur Night IR photos. If you are looking for lightning fast 0.67 second trigger speeds and night time Infrared flash ranges of 100 feet, then the Browning Strike Force camera is for you. Comes with zero blur feature, the Browning Strike Force Elite Sub Micro Trail Camera can capture clear nighttime pictures. With PIR Motion Sensor and 0.4 seconds of motion trigger speed, this camera hardly misses to capture the passing animals. This camera can also capture HD video with sound. Suped up versions of the smallest, best selling game camera on the market, these Browning Trail Cameras Strike Force 850 HD Video 16MP Game Cameras can help any hunter scout their property before the hunting season begins. 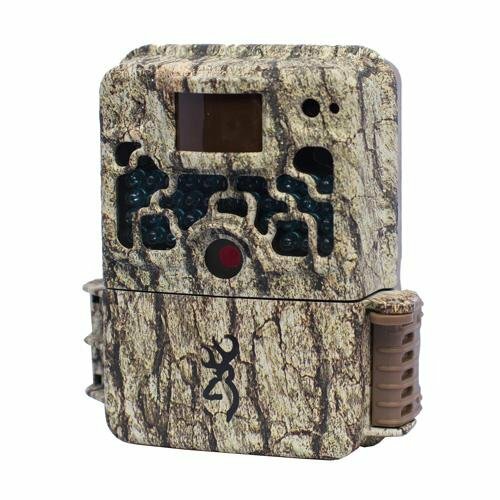 This camera features a 80 foot detection range, "Zero Blur" no glow infrared illumination, 0.8 second recovery, and a speedy 0.4 second trigger speed so you end up with more of those crisp, clear images of wildlife, day or night. Timelapse Plus enables timelapse mode during the day and trail cam mode at night, while Smart IR video detection optimizes your full HD video capture. The perfect shot of next hunting season happens long before you take to the field, so hunt smarter and invest in these Browning Trail Cameras Strike Force 850 HD Video 16MP Game Cameras to find out exactly when, where, and how your game is moving. Store: sscare Condition: Brand New Price: $109.99 Total Price: $109.99 Buy It from sscare No returns. Store: SSAJ Jewelry Condition: Brand New Price: $88.49 Total Price: $88.49 Buy It from SSAJ Jewelry No returns. Store: A2zSuperDeals Condition: Brand New Price: $84.99 Total Price: $84.99 Buy It from A2zSuperDeals No returns. Last updated: April 20, 2019 at 23:32 EST. Pricing information is provided by the listed merchants. GoSale.com is not responsible for the accuracy of pricing information, product information or the images provided. Product prices and availability is subject to change. Any price and availability information displayed on amazon.com or other merchants at the time of purchase will apply to the purchase of the product. As always, be sure to visit the merchant's site to review and verify product information, price, and shipping costs. GoSale.com is not responsible for the content and opinions contained in customer submitted reviews.